Below are a series of pictures taken during Kit Night on May 13, 2008 when Jim K2ZO showed other members how to properly put PL-239 connectors onto cable. K2ZO laying out the tools he will use. Cable is Belden 9913F7 High-Flex Low-Loss RG-8 Type 50 Ohm Coax. 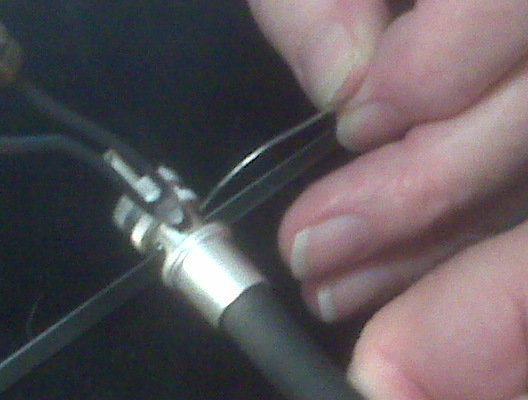 Jim uses the PL-239 connector to measure where on the cable to strip the outer sheath down to. 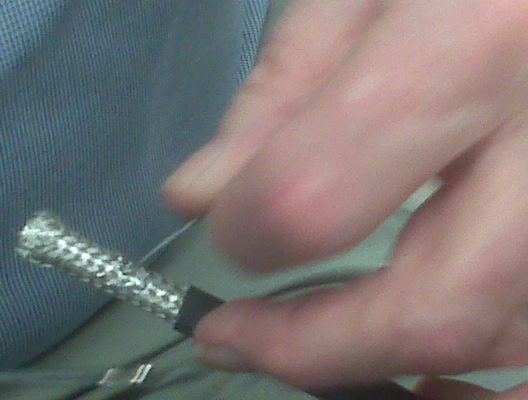 Marking the braid where it needs to be trimmed to. 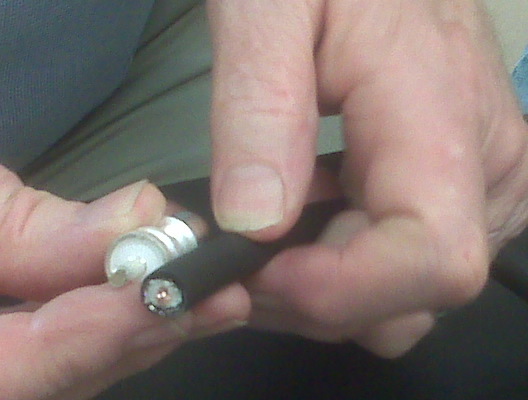 Jim lined up the connector to determine where the braid needs to end. 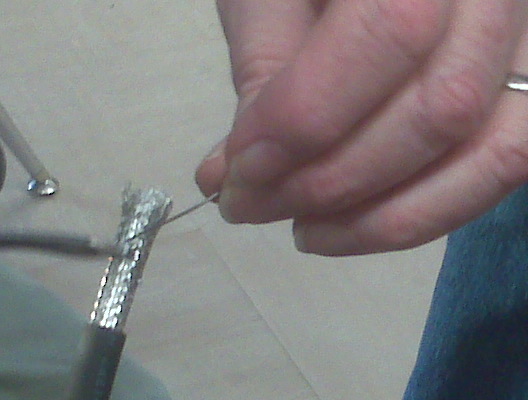 Jim is tinning the portion of the braid above the mark so when it is cut it won’t fall apart and make a mess. 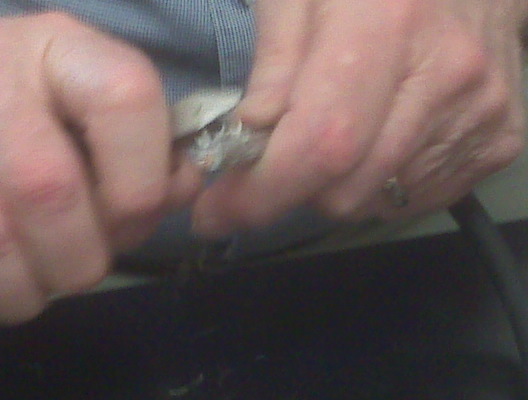 Jim is using a file to cut the braid where he previously marked it. Jim is using a knife to cut the foam core around the center copper above the same mark where the braid was removed. 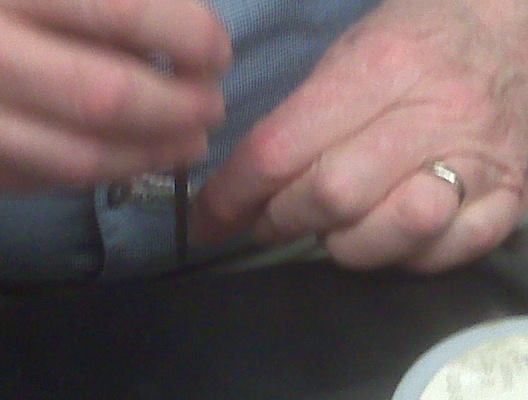 Jim removing the thin silver wrapper to prevent a possible short. 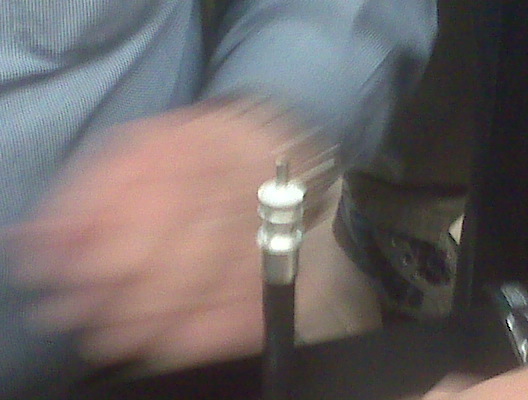 The PL-239 pushed onto the end of the cable. 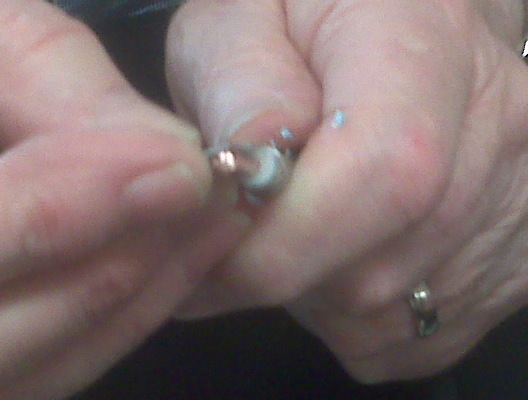 In this particular case, it was necessary to remove a few strands of the twisted copper core in order to get it to fit into the connector. 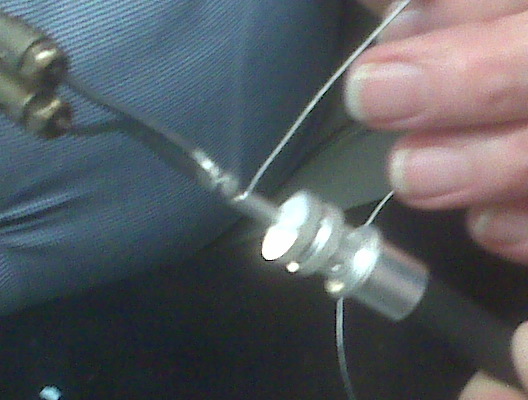 In a similar manner as above, the holes around the outside of the connector are filled with solder. 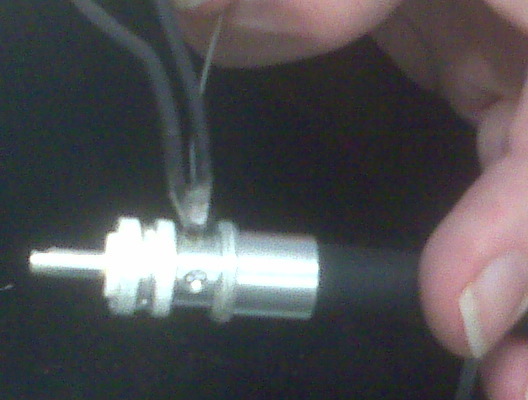 Another angle showing the position of the soldering iron and the thin solder. 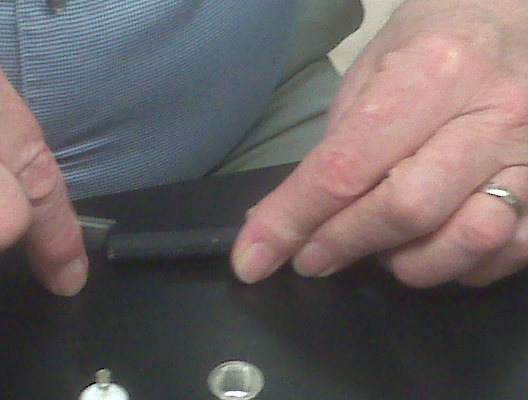 Using this positioning, the solder was drawn right into the holes. An optical illusion is the file underneath is going right through the connector. was on properly and there was no short. 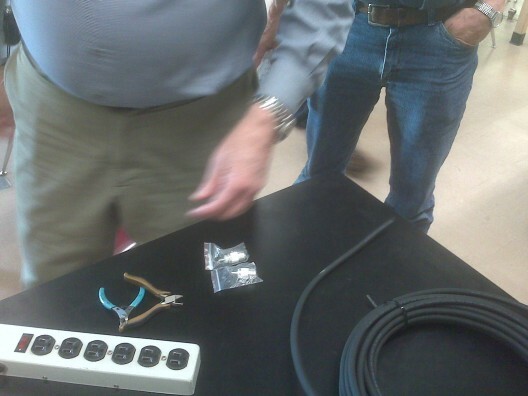 Thanks Jim for the lesson and a professionally finished cable! !